Various information systems are active in television programs and they evolve day by day. In the information production in the live broadcasting program which TECHNONET is good at, it has already over 30 years history. Participation by viewers of television broadcasting. Beginning with the start of data broadcasting from the era when telephone and FAX were mainstream, the approach of directing that various SNS and application interlocking has become diverse. Recently participation of viewers in real-time, such as questionnaires and games has become a matter of necessity, we have concretized the image of directing according to each one of those programs. Regarding ICT utilization in programs, we have a wealth of experience and achievements. "The sense of distance between the screen and the user" becoming familiar in the future. TECHNONET's role is handling this sense of distance, along with new technology and new ideas. General education, quiz related to entrance examination, maniac quiz, etc.… Nowadays quiz show is still popular. We also find TECHNONET on this site. It is not exaggeration to say that there are as many systems as there are programs. As a result of making various challenges with the policy to utilize the products that exist in the world and to develop if there is no suitable product, we have been involved in memorable TV programs with every service such as the number of contestants is 1 to 200 people with its the solution method is "handwriting method" from "push button type“.Variety program that has changed to various forms depending on the times. We will make each one even from now on. The moment of historical movement that is moving every moment, election news which is required to convey the information promptly and accurately. 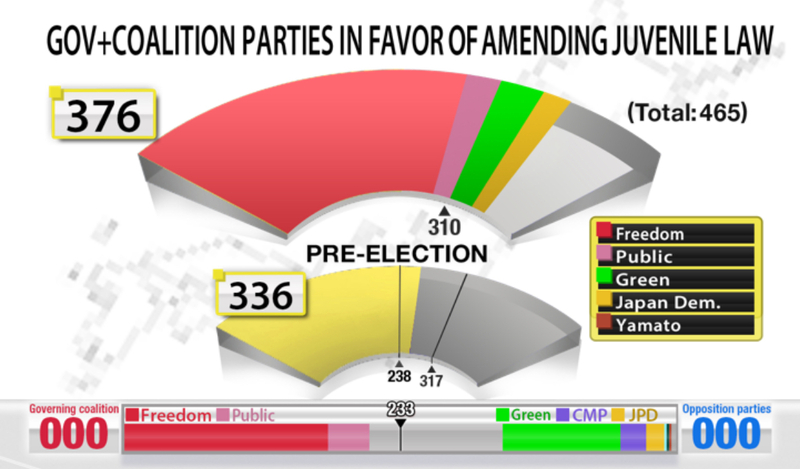 From the local elections to the national elections, the scale of the system and the amount of information are various, but each broadcasting station has been involved in the special election program that each broadcasting station challenges with the culmination of technology. Actually, the very first TV program that TECHNONET proposed the computer graphics in 1986 was an election news program. For over 30 years, TECHNONET has developed various new news systems. 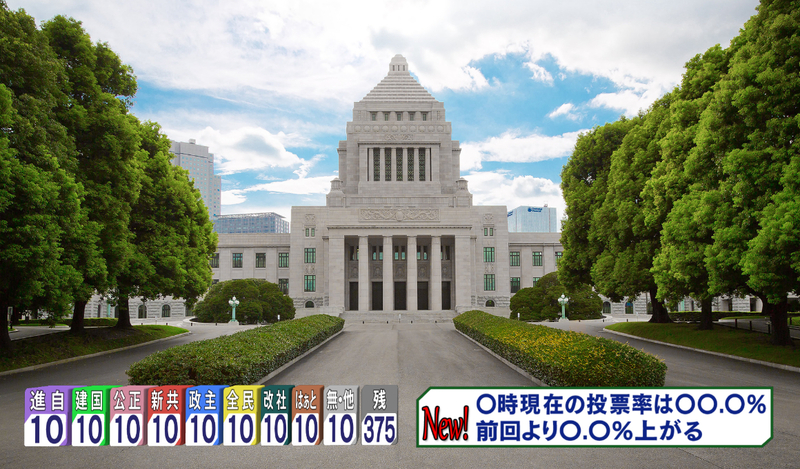 Perhaps there is no one who has never seen our work in the TV election program in Japan. The live television program utilizing the information system has already over 30 years history. And now, new challenges are required in the midst of the fusion of television broadcasting and the internet progresses. TECHNONET’s technical services will continue to challenge with the creators while understanding the feelings of TV programs. Intreactive Participation System for Audience, Aggregation System for mass contestants, Answering System by handwriting, Email/ FAX/ Data Broadcasting Aggregation System/ Real-time Text Input System, Lyrics On-Air System/ etc.